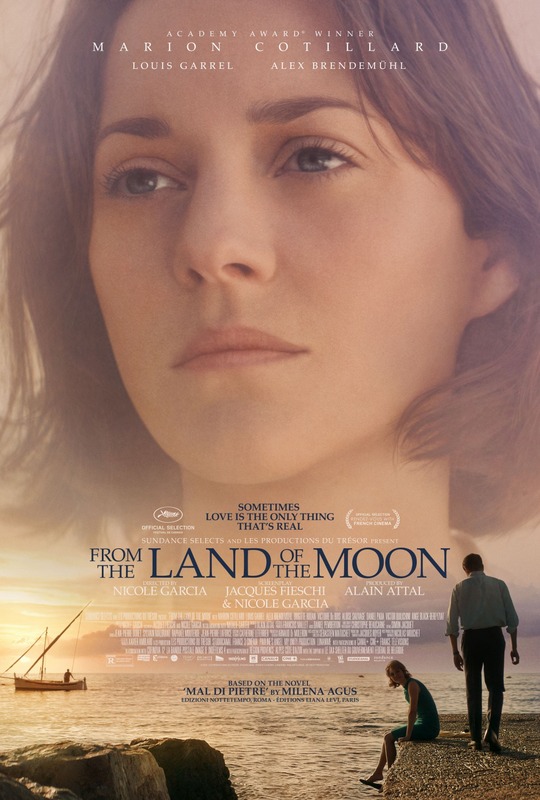 From the Land of the Moon is the story of a free-spirited woman fighting for passionate dreams of true love against all odds. Gabrielle (Cotillard) comes from a small village in the South of France at a a time when her dream of true love is considered scandalous, and even a sign of insanity. Her parents marry her to José (Àlex Brendemühl), an honest and loving Spanish farm worker who they think will make a respectable woman of her. Despite José’s devotion to her, Gabrielle vows that she will never love José and lives like a prisoner bound by the constraints of conventional post World War II society until the day she is sent away to a hospital in the Alps to heal her kidney stones. There she meets André Sauvage (Louis Garrel), a dashing injured veteran of the Indochinese War, who rekindles the passion buried inside her. She promises they will run away together, and André seems to share her desire. Will anyone dare rob her of her right to follow her dreams?